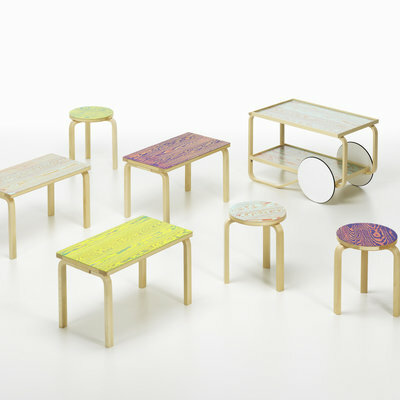 Yesterday marked day two for us at Milan Design Week, and our feet are feeling it. We hit the ground running at Salone del Mobile and then explored more exhibitions around town. We'll be sharing more detailed articles featuring interviews and insights into our trip soon, but for now we'll be posting daily roundups of what we saw and experienced each day at the festival. The proper way to experience Salone del Mobile is to go into the experience understanding that there is no possible way to see it all—we spent a full day at the fair and didn't even scratch the surface. Even so, we were able to visit some of the larger furniture brands and Salone Satellite, an exciting hub within the fair that features work from student and emerging designers. 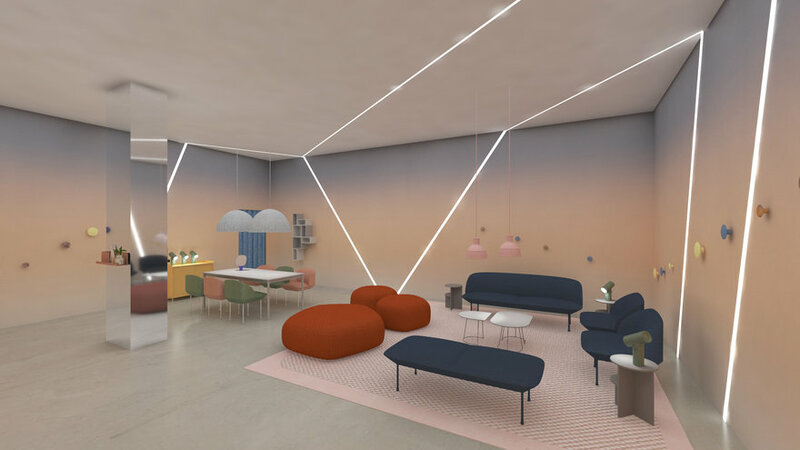 We'll be sharing a photo-heavy article from Salone Satellite, but in terms of larger brands, we were specifically impressed by Vitra's booth, as they decided to showcase their new offerings in four separate rooms based on four different personas. The dynamic booth was surrounded by booths with a more typical trade show set-up, making our visit to Vitra a pleasant surprise. Calico Wallpaper and Ladies & Gentlemen Studio truly created a calming oasis that we took pleasure in visiting after a long day at the fair. The pieces created by Ladies & Gentlemen and Mud Australia were on the smaller side but were complemented by oversized flowers and striking gradient wallpaper from Calico, which enhanced the still live vignettes and gave the pieces a strong voice. At Google's A Space for Being, we were asked to leave our phones and preconceived notions of wearable tech at the door. The immersive experience includes three rooms, which visitors are led through five minutes at a time while wearing a screen-less band on their wrist. 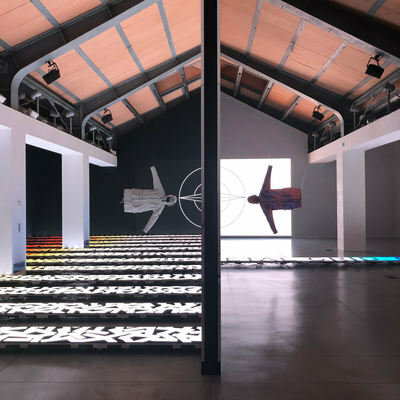 The three rooms represent different personas, and at the end Google analyzes the data from each band and gives each visitor a personalized visual that explains which room made them feel most "at ease". This exhibition is good fun and a nice debriefing from the tech-y vibes at A Space for Being (located in the same space). If you've ever wondered what a car made from Romowa luggage would look like, you're in for a treat. The wild statement pieces by Santoma really bring a cool factor to Milan Design Week. And the winner of the Lexus Design Award is.... Algorithmic Lace by Lisa Marks! 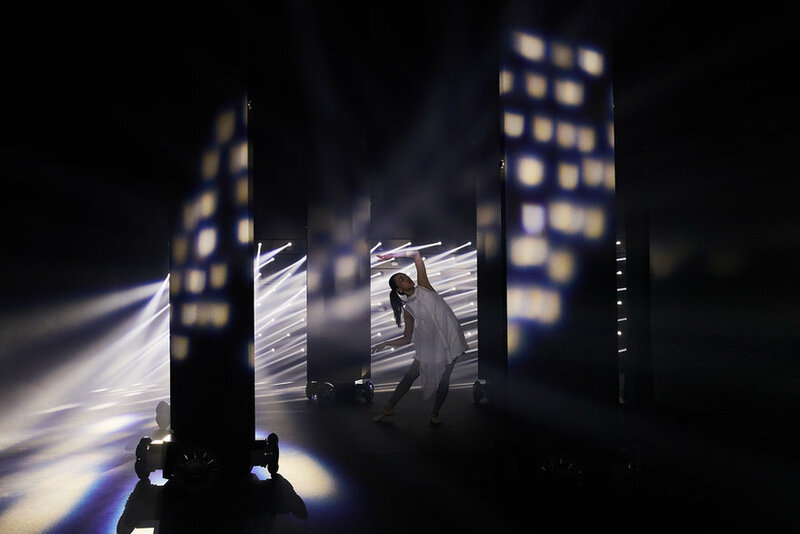 In addition to a section explaining the finalist projects, Lexus' massive pavilion features a light installation by Japanese art and technology design firm Rhizomatiks. Strange choreographed robots combined with otherworldly lighting... what more could we really ask for? 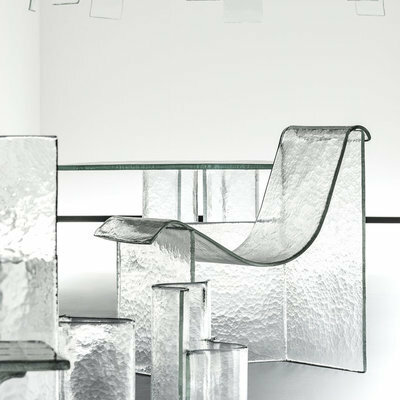 Stay tuned for more Milan Design Week coverage as we continue to explore Salone, exhibitions around town and more.